Improper harvesting techniques and overharvesting can have a significant negative impact on the ability of a species to reproduce. For example, wild American ginseng (Panax quinquefolius) is endangered in Ontario mainly due to a long history of overharvesting. This practice can lead to the disappearance of a species from an area and the loss of a local food source, affecting both humans and other species. A general rule is to collect only 5 percent of any individual patch of a given species within a maximum of 25 percent of an area. Following this guideline helps ensure that the plants are able to reproduce. For plants that have a long life cycle and take many years to grow to maturity, sustainable harvesting entails picking even less. 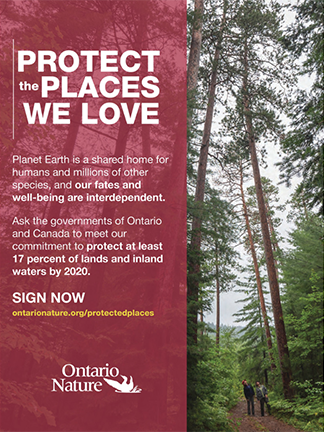 Ideally, people will become exceptional stewards of Ontario’s natural areas. Sustainable harvesting methods relating to trees, shrubs, plants and fungi vary, so in some cases additional research may be required to ensure sustainability. 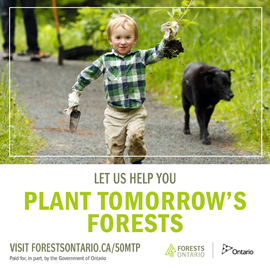 The timing of harvesting is also important, as some parts of a plant (such as flowers or fruit) are not available year-round, while others (such as tree needles) are. Not taking more than is needed at one time is also important, as taking too much reduces available resources for other users and contributes to increased waste of these resources. Harvesting too much can also impact a species’ ability to grow and reproduce. Practicing sustainable methods of harvesting the species listed in this guide is crucial to minimizing human impact on them and other species that rely on them. Such methods contribute to increased food security and independence, which are particularly important in communities where healthy foods are not always available or easy to obtain.